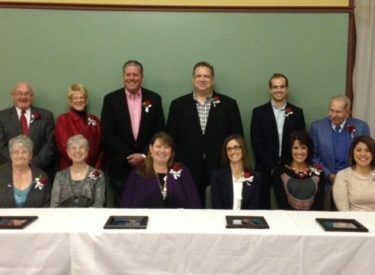 The Liberal Chamber of Commerce unveiled its annual Men and Women of Distinction Calendar Thursday evening at the Rock Island Depot. Those included on the 2017 calendar are: Pam McElvain, JoAnn Combs, Travis Combs, Bonnie Raff, Leslie Bissell, Nick Hatcher, Charlie Maddox, Robin Louderback, Amy Hinkle, Dr. Jess Koons, Norma Jean Dodge, & Mike Brack. The calendars are free and available at the Chamber office.